Viva Print! Welcome to the 2019 PrintWeek Awards, the greatest and most sought after awards in the print industry. The awards celebrate the power of print and our judging panel, made up of more than 20 leading print buyers and experts in their fields, is looking forward to being wowed by some of the awe-inspiring projects you and your team have completed over the past 12 months. And with more than 20 PrintWeek Prisms up for grabs this year, including several new and reconfigured categories, the odds are stacked in your favour of finding the perfect category to promote your prowess to clients and prospects alike. However, winning a PrintWeek Award isn’t easy. It’s the highest accolade in UK print, after all. But there are some simple steps you can take to give yourself the best possible chance of beating the house and being crowned one of the 2019 PrintWeek Awards winners. Firstly, you need to go all in and enter. Secondly, you need to ensure that you send us only the very best examples of your work. Start setting aside pristine examples of jobs so that you have a winning hand when you come to submit your entry. Thirdly, read the rules carefully and make sure that you have submitted all the relevant information, because if the judges don’t have enough information to go on, you might not make it to the shortlist. If you have any questions regarding the criteria or what exactly we need, please contact our events team, who will be more than happy to help. After all that, look over your entry before you submit and try to put yourself in our judges’ shoes: what would you look for in an award-winning entry? Then place your bet, submit your entry and send us your sublime samples. And that’s it, rest safe in the knowledge you’ve done everything you can to ensure you have the best possible chance of being one of the stars of the industry’s night of nights at the Grosvenor House on 21 October. Viva your business! Viva your people! Viva print! This category is aimed at short-run (less than 1,000 copies), high-value digital print, including, but not restricted to, brochures, packaging and presentation packs. Judges will be seeking out the company that best demonstrates a combination of good quality colour results, with innovative applications. Judges will be seeking out the company that best demonstrates a combination of good-quality colour results, with innovative applications. Here the judges are looking at the quality of the work produced. All entries need to include a single copy example of four different digitally printed pieces of print in order to demonstrate consistent production excellence. If any part of the job was produced by a different company – for example a special finish – remember to credit the company that undertook it. Please note large-format digital print work can also be entered into the OOH category. Read the rules of entry for the quality categories, available here, failure to do so may result in your entry being disqualified. All summary sheets must be submitted online. Fill this in and upload with your application and also print out and submit the coversheet with your physical samples. This award is designed for the best examples of shorter run magazines, these are typically premium products where the emphasis is placed on producing a product that reflects the value the publisher places on the content featured. Magazines printed using the sheetfed offset or digital process, may be entered and judges will take into account the production implications of each technology. Judges will be looking for consistent quality of print and finishing as well as repro (if applicable). Here the judges are looking at the quality of the work produced. All entries need to include a single copy example of four different magazines Entries will need to consist of B2B, consumer or customer titles in any combination, however, you cannot submit more than one issue of the same magazine. If any part of the job was produced by a different company - for example the repro or a special finish - remember to credit the company that undertook it. Please note: The submitted samples must feature editorial content to be deemed magazines, catalogues or brochure samples will be disqualified. Books printed in the UK are renowned for their quality across the globe, and this award celebrates all that is great about UK book printing. Judges will be looking for the highest quality of printing married to precision in binding. Books printed by any process may be entered and judges will take into account the production implications of each technology. Here the judges are looking at the quality of the work produced. All entries need to include a single copy example of four different books either case bound or paperback or both. Each entry will consist of four different books and if any part of the job was produced by a different company, for example a special finish – remember to credit the company that undertook it. Also, because the finishing of the books is of critical importance in this category, where the binding has not been done in-house the trade bindery/ies used must be declared on the production sheet. If a picture says a thousand words, then the highest-quality brochure must speak volumes. The production values involved in many brochures are among the highest in print, but a good-quality brochure is not just about the money spent on its production; the dedication to quality of everyone involved in the process, from the repro department to the press minder or binder operator play a vital part. With this in mind, quality is key, and this award aims to honour those printers who believe a job just being good enough, isn't good enough. Judges will be looking for consistent quality of repro, print and finishing. Brochures printed sheetfed litho as well as digital may be entered. Here the judges are looking at the quality of the work produced and if any part of the job was produced by a different company – for example the binding, repro or special finish – remember to credit the company that undertook it. Being named PrintWeek's company of the year is the ultimate accolade in the printing industry. This award recognises outstanding achievement, based on the financial and business performance of a company during the judging period (see criteria below). Please supply any information that helps to substantiate your achievement, including report and accounts and a 500-word summary on why you should win this award. Other information, such as letters of commendation from customers will also be considered. Here the judges are looking at the business performance of the entering companies. These categories take into account the quality of the balance sheet and profit-and-loss accounts; investment in technology and people; and other achievements, such as the winning of new contracts or the overcoming of exceptional circumstances. This means that we need to see real substantive evidence, including report and accounts, but we guarantee the confidentiality of sensitive information. The financial year under review is April 2018 to the end of March 2019. All summary sheets must be submitted online. Fill this in and upload with your application and also print out and submit the coversheet with your physical samples (if applicable). This award recognises the importance of world-class customer service, and that successful companies have to provide much more than 'just ink on paper'. It will be awarded to the customer service team that demonstrates exemplary performance in offering innovative customer service solutions to customers. This could involve solving a specific problem(s) or thinking proactively on behalf of the customer. Please support your entry with a 500-word summary on why your company should win, along with a specific customer service case study or studies. The period under review is April 2018 to the end of March 2019, so your entry should detail a project or projects that were undertaken during this time. As well as the 500-word summary on the project(s) and the challenges involved and goals achieved, the judges will be looking for a detailed client testimonial(s) that describes the impact of your team's dedication to customer service. The more detailed the information the better. All judges sign a non-disclosure agreement prior to judging the PrintWeek Awards and client confidentiality will be respected. While in the past direct mail was often slurred with the label of 'junk mail', with myriad advances in technology and execution the term has been consigned to the waste bin. Modern mailings are innovative and thoughtful pieces of direct mail that prove the true marketing potential of print. The ROI of intelligent direct mail is unsurpassed and, in this category, we’re looking for the finest examples the sector has to offer. While print is clearly the focus, the full range of finishing techniques will also be judged in this category, including folding, perforating, personalisation, die-cutting and pop-ups. Judges will be looking for consistent quality of print and finishing as well as repro (if applicable). DM pieces printed sheetfed or web offset, and digital, may be entered and judges will take into account the production implications of each technology. If any part of the job was produced by a different company – for example the repro or a special finish – remember to credit the company that undertook it. This award will go to the print company that has done most to improve its environmental performance during the 12 months under review. The judges will be looking for evidence of the programmes or changes implemented, and of the measurable results of these changes. Please supply all relevant information that will substantiate your environmental achievement, including a 500-word summary and a copy of your company’s environmental policy. The period under review is April 2018 to the end of March 2019. It is worth noting that in this category, arguably more than any other the devil is in the detail, so detailed submissions are not only accepted, but welcomed. However, remember to use your 500-word summary to highlight your achievements during the judging period and then detail their impact in your supporting evidence so that judges do not miss any of the critical information. Sensitive information will be kept confidential. Detailed evidence of your environmental improvements during the 12-month period. As the name of this category suggests, judges will be looking for art prints, fine art books or art catalogues which demonstrate the very highest levels of origination and print. Limited editions are eligible. Judges will be looking for consistent quality of print as well as repro (if applicable). Fine art work printed sheetfed litho or digitally may be entered and judges will take into account the production implications of each technology. Here the judges are looking at the quality of the work produced. All entries need to include a single copy example of four different examples of fine art work in order to demonstrate consistent production excellence. If any part of the job was produced by a different company – for example the repro or a special finish – remember to credit the company that undertook it. The FMCG packaging printer of the year is targeted at packaging that has a short shelf life, for example in the food or healthcare sectors. While the unit value of FMCG products will most likely be substantially lower than that of luxury goods, the challenges are no less complex - the dual demands for fast turnarounds and product consistency across long runs being key examples. Equally, FMCG products must still demonstrate both the highest quality print and production values as well as fitness for purpose, whether that be in 'selling' the contents or keeping them safe from damage - or both. Judges will be looking for consistent quality of repro, print and finishing. Packaging printed sheetfed litho, digitally, flexo or gravure on any substrate, including flexibles, may be entered and the judges will take into account the production implications of each technology. For this category, remember to highlight the challenges overcome in your production summary, from impossibly tight deadlines to unwavering colour accuracy. If any part of the job was produced by a different company (the repro work, for example) remember to credit the company that undertook it. Formerly called the Industrial digital printer of the year, the judges are looking for stunning examples of long-run (over 1,000 copies) targeted messaging, whether it’s high-volume direct mail or transactional documents or any other form communication where the quality of the complex data handling and implementation in terms of the number of variables, text and images, is as important as the quality of the printed product. Please note large-format digital print work should be entered into the OOH category. In this reconfigured category, we are looking for the best examples of long-run publications such as magazines or catalogues produced using either the gravure or web offset process. Judges will take into account the constraints of differing schedules and production budgets. Judges will be looking for consistent quality of print and finishing as well as repro (if applicable). Magazines or catalogues printed using web offset or gravure, may be entered and judges will take into account the production implications of each technology. Here the judges are looking at the quality of the work produced. All entries need to include a single copy example of four different publications printed since 1 July 2018, in order to demonstrate consistent production excellence. You cannot submit more than one issue of the same publication. All types of magazines or catalogues are eligible in this category, provided they were printed web offset or gravure. Award-winning labels needs to tick a number of boxes, from illustrating the highest-quality print and production values to actually being fit for purpose, whether that be 'selling' the contents or adhering to brand specifications. Labels are a broad church and any form of label can be entered into this category, from food and beverages to tins of paint and everything in between. Judges will be looking for consistent quality of repro, print and finishing and of particular interest will be the use and application of special colours and finishes, and printing on difficult or unusual substrates. Labels printed using any process, for example sheetfed litho, digital, flexo, gravure, screen, letterpress or any combination, may be entered and the judges will take into account the production implications of each technology. If any part of the job was produced by a different company – for example the repro or special finish – remember to credit the company that undertook it. This category is targeted at high-value luxury packaging that would typically be expected to have a long-life cycle. Entries will likely consist of (but are not restricted to) products such as presentation boxes for wines and spirits, media packaging for DVD or book box-sets, beauty products and even presentation packs etc. Award-winning luxury packaging needs to tick a number of boxes, from illustrating the highest quality print and production values, to actually being fit for purpose, whether that be 'selling' the contents or keeping them safe from harm. Judges will be looking for consistent quality of repro, print and finishing. Packaging printed sheetfed litho, digitally, flexo or gravure may be entered, and the judges will take into account the production implications of each technology. All entries need to include a single-copy example of four different pieces of packaging. If any part of the job was produced by a different company (the repro work or a special finish, for example) remember to credit the company that undertook it. This category aims to recognise the UK print company that has demonstrated the best use of marketing to promote its own business. The award will be judged on one project or campaign that the entering print company has either developed and executed itself or with the assistance of a marketing agency. However, if a marketing agency was used this must be made clear in the submission. The campaign can be print, digital or experiential based or a combination of all three. This award is for a marketing campaign or project, and with any form of marketing expenditure there has to be a proven return-on-investment – so don't forget to include the cost and results of the campaign. While the Award is focused on impact and results, the judges would like to see examples of the campaign elements, whether they be print, email, a website, SMS, App or photos from a live/experiential event. Client testimonials are also encouraged. Critical to the entry, as well as the 500-word summary on the project and the challenges involved, is detailed information on the bottom-line impact, response rates, ROI, sustainability, data collection and any other metrics that the entrant thinks are appropriate. If this information is sensitive, please mark it ‘not for publication’. However, the category will be largely judged on the results of the campaign, so failure to include this information will impact your chances of winning. The qualifying period for campaigns is from 1 April 2018 to July 2019. Printed samples to be sent into the PrintWeek Awards – Samples of SMS/Online/e-mail /photos that you carried out as part of the project. These can include URL links or screen grabs on CD, DVD or USB or printouts. We are looking for the newspaper printer that demonstrates outstanding colour printing on newsprint-based products, which as well as newspapers can also include promotional products and inserts etc, provided that they’re printed on newsprint grades. Judges will take into account the pressures of daily or weekly production. Judges will be looking for consistent quality of print and finishing as well as repro (if applicable). Newspapers printed web offset, heatset or coldset, or flexo may be entered and judges will take into account the production implications of each technology. Here the judges are looking at the quality of the work produced. All entries need to include a single copy example of four different newspapers in order to demonstrate consistent production excellence. This award will recognise those companies that demonstrate excellence and innovation in wide- or large-format printing. This can include billboard advertising, bus shelters (including backlit), vehicle advertising, building wraps, experiential marketing and exhibition graphics. As well as the highest quality print, we’ll be looking for innovation in in situ effectiveness and outstanding customer service. Judges will be looking for brilliant execution in wide- or large-format print. Material printed using sheetfed litho, screen or wide-format digital technology on any substrate may be entered and judges will take into account the production implications of each technology and substrate. Remember though, it’s not just about material and print, but way they have been used together, stretching the boundaries, introducing new concepts and techniques giving that wow affect. The minimum poster size that can be entered in this category is six-sheet. Due to size constraints at the judging venue, for each of the four samples entrants should only supply a 1 metre square section of the actual printed job at 100% scale, along with photographs of the full installation in situ, a high-quality/contract proof* and a 250-word summary. If any part of the job was produced by a different company – for example the repro or special finish – remember to credit the company that undertook it. *For all submitted samples, it is important that a high quality/contract type proof is supplied so that judges have a point of reference – failure to supply a hard copy proof for each sample submitted will result in the entry being marked down. This award will recognise those companies that demonstrate excellence throughout the display stand lifecycle. As well as the highest-quality print, we’ll be looking for innovation in construction and manufacturing techniques, in situ effectiveness and outstanding customer service. Judges will be looking for consistent quality of print and finishing as well as repro (if applicable). Point-of-purchase projects printed using any method may be entered and judges will take into account the production implications of each technology. Here the judges are looking at the quality of the work produced. All entries need to include one sample from four different campaigns in order to demonstrate consistent production excellence. If any part of the job was produced by a different company – for example the repro, special finish or finishing – remember to credit the company that undertook it. Finishing is often dubbed the Cinderella process, but it represents the single biggest opportunity for a great job to become truly spectacular. This award is open to both trade finishers and in-house finishing departments. The judges will be looking for the use of a finishing process (or a combination of processes) that genuinely adds value to a printed product. Here the judges are looking at the quality of the work produced. All entries need to include a single copy example of four different jobs in order to demonstrate consistent production excellence. If any part of the job was produced by a different company – for example the print – remember to mention the company that undertook it. While the run-lengths of report and accounts may be getting shorter, thanks largely to changes in legislation, their paginations are in many cases getting bigger. However, what hasn't changed is the fact that printed report and accounts mirror the brand values of the company whose numbers are contained within. With this in mind, quality is key and this award aims to honour those printers who believe a job being good enough, isn't good enough. Judges will be looking for consistent quality of repro, print and finishing. Report & accounts printed sheetfed litho as well as digital may be entered. Here the judges are looking at the quality of the work produced and if any part of the job was produced by a different company – for example the binding, repro or special finish – remember to credit the company that undertook it. This category uses the same criteria as Company of the Year, but is for small to medium-sized enterprises (SMEs) and is designed to recognise the achievements of print companies that make up the backbone of the industry. Please supply any information which helps to substantiate your achievements, including report and accounts, and a 500-word summary on why you should win this award. Other information, such as letters of commendation, investment strategies, and growth plans will also be considered. 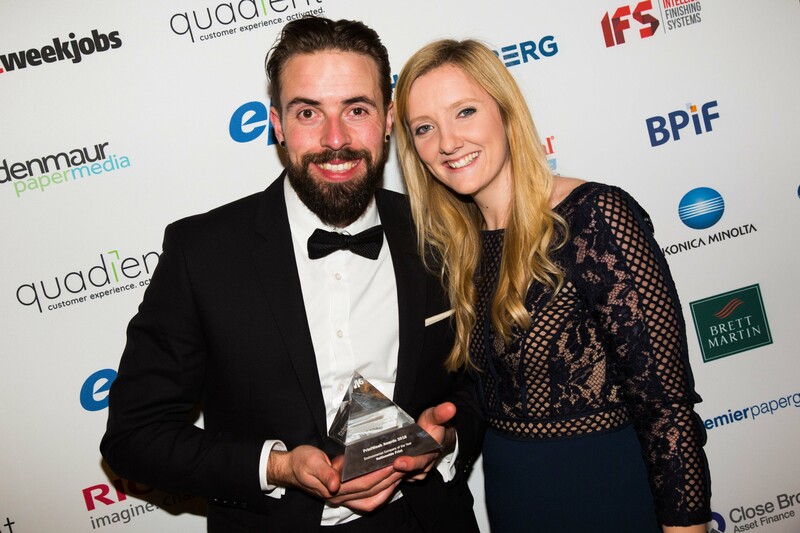 To qualify for the SME of the Year category, entrants must have any two of the following: a turnover of £10.2 million or less; £5.1 million or less on its balance sheet; 50 employees or less. Here the judges are looking at the business performance of the entering companies. This category takes into account the quality of the balance sheet and profit-and-loss accounts; investment in technology and people; and other achievements, such as the winning of new contracts, or the overcoming of exceptional circumstances. This means that we need to see real substantive evidence, including report and accounts, but we guarantee the confidentiality of sensitive information. The financial year under review is April 2018 to the end of March 2019. This category covers printers of all social stationery (note cards, postcards, invitations, letterheads, etc) as well as greetings cards. All aspects of production will be taken into consideration, including foiling, embossing, debossing and die-cutting. Sample books are not eligible. Judges will be looking for consistent quality of print and finishing as well as repro (if applicable). Social stationery printed sheetfed or digitally may be entered and judges will take into account the production implications of each technology. Here the judges are looking at the quality of the work produced. All entries need to include a single copy example of four different pieces of social stationery in order to demonstrate consistent production excellence. Because the finishing of social stationery is often the value-added part of the job and therefore of critical importance in this category, where any of the finishing has not been done in-house the trade finisher used must be declared on the production sheet. It will come as no surprise that every year the PrintWeek Trainee of the Year is guaranteed the single biggest cheer of the night. There's no doubt that the industry is facing the ticking time-bomb of an aging workforce, so this award's goal is simple: to honour the best trainees in the industry and prove that a passion for print is something to be celebrated and nurtured. The Heidelberg bursary of £2,000 is open to any trainee, including full- or part-time employees or students, undertaking any form of print-related qualification, from an in-house apprenticeship or NVQ to a degree. There is no limit to the number of trainees/students any college or employer may nominate, and each entry is free. Entries should be submitted by a lecturer or the trainee's employer, and should include a brief report (up to 500 words) from the nominating lecturer/employer on why each the trainee has been nominated, together with examples of his or her coursework and a 500-word declaration from the trainee supporting their entry. The year under review is September 2018 to the end of June 2019, so the trainee must have been involved in some form or training or career development during this time. Trainees on in-house apprenticeships may enter even if there is no officially recognised qualification at the end of the apprenticeship. IMPORTANT: Trainees, if shortlisted, and their nominating lecturer or line manager must be available to attend the Awards ceremony as Heidelberg’s guest on the 21 October. 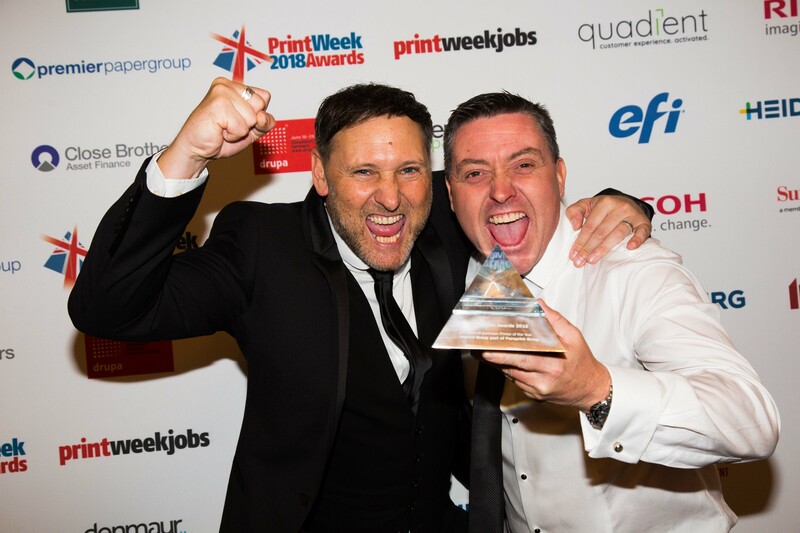 Why should you enter the PrintWeek Awards 2019? 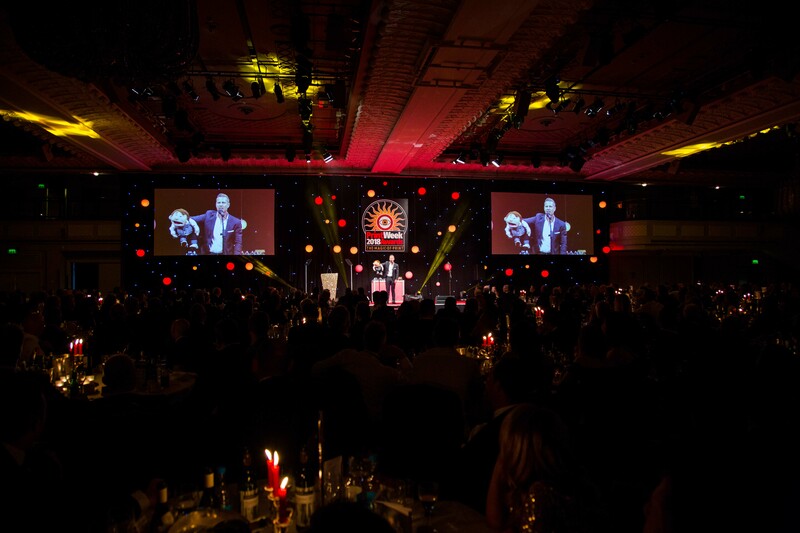 The PrintWeek Awards are the industry’s flagship Awards scheme and culminate in the largest awards dinner in the industry, where the winners are unveiled before 900-plus guests. The Awards are independently judged by more than 20 leading print buyers and industry experts. Our valued sponsors simply support the awards because they believe in celebrating the best the industry has to offer, they have no input in the judging process. And because we think an entry should be judged on a body of work, not just one sample, entries consist of four different samples. This is why the PrintWeek Awards are the most credible in print, but don’t take our word for it – ask your customers. First of all, decide which category/ies you wish to enter by clicking on the ‘Categories’ tab. When you are ready to make your entry, click on the ‘Enter Now’ button on this website. You will be asked to fill in your contact details to register your entry. You can then select which category/ies you wish to enter. Once registered, you may log out and sign in again at a later date to complete your entry. Please click here for top tips from judges on entering the PrintWeek Awards. The closing date for entries is Friday 5th July. For the Performance Awards categories, you are required to write and upload a 500-word summary. Depending on the category, you will also be required to supply supporting material. Your summary should include a brief introduction to the company, the challenges involved and goals achieved. You will also need to upload a detailed client testimonial that describes aspects such as bottom-line impact, response rates, ROI, sustainability, data collection, and any other metrics that you believe appropriate. You may supply samples of printed work but it is not required. Click here to view the complete rules for the Performance categories. NOTE: For Company of the Year and SME of the Year, you are required to send in a set of accounts that cover the period specified. Please DO NOT mark up your samples with company logos, sticky labels or anything that could identify you to the judging panel. Click here to view the complete rules for the Quality categories. Whilst every care is taken with entries, PrintWeek and the Mark Allen Group cannot accept responsibility for loss or damage, whatever the cause. Please pack your entries carefully so they arrive in good condition. Entries will not be returned. They will be held until Friday 15th November 2019 for you to arrange collection. Contact the Awards team on 0203 915 9454 to arrange. Please make sure you indicate on your entry form if you wish to collect your entries. Once submitted, you will receive a confirmation email which will detail the date by which you must have arranged for collection of your printed materials. 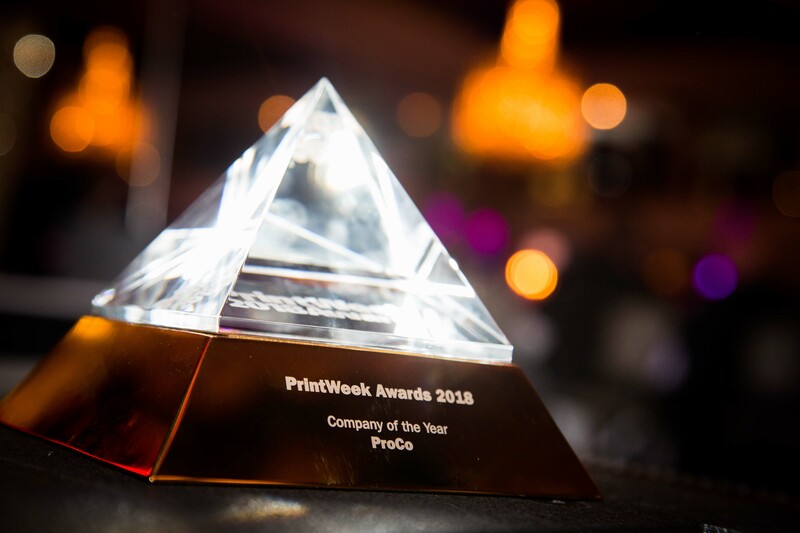 The PrintWeek Awards are the most prestigious event in the printing industry’s calendar, boasting the biggest number of print buying and print production professionals. The gala dinner and awards presentation will take place on Monday 21st October, at the prestigious Grosvenor House Hotel, Park Lane, London. Your ticket price includes champagne on arrival, a three-course meal, and, of course a night jam-packed with top-quality entertainment and an after-show party. The event is typically hosted by a leading light from the world of comedy, with previous hosts including Dara Ó Briain, Jimmy Carr, Gyles Brandreth and Miles Jupp. Please see below for approximate timings for the 2019 ceremony. Please note that the above are the 2018 prices and may change ahead of the 2019 event. *Early bird booking rate expires on 7 September. This year we have a limited number of premium tables available. Why not treat your team to a night they never forget with a branded meeting point on arrival, two bottles of champagne on ice, on your table and guaranteed prime table position. Make your organisation stand out and your team feel exceptional. Founded in 1958, Brett Martin is a market leader in the production of rigid plastic media for signage, display and print applications. Globally renowned for its product quality, service excellence and range evolution, Brett Martin’s plastic sheet products include the ever expanding Foamalux brand, which offers one of the most extensive foam PVC sheet ranges available on the market, and its transparent sheet ranges which have earned a global reputation for their reliability and performance. Much more than just a manufacturer and supplier, Brett Martin combines its quality product portfolio and comprehensive logistics network, with an unrivalled ability to offer guidance on material selection and consultation on production challenges such as static control. This has given the Northern Ireland based company a deserved reputation as a valuable business partner to companies in the sign and graphics sector. The British Printing Industries Federation (BPIF) is the principal business support organisation representing the UK print, printed packaging and graphic communication industry. BPIF strives to ensure its members’ requirements come first and through listening to their needs have developed an unrivalled range of products and services that go well beyond those provided by a traditional trade association. BPIF provide the highest standard of support and training for printers to grow and develop healthy, sustainable and profitable businesses, aiming to provide an environment geared towards their businesses success. As a long-established provider of business opportunities for individuals, partnerships, companies and industry organisations across the world drupa, the key event for the printing and crossmedia sectors, applauds all professional colleagues and companies who strive to make a positive difference to the standards of service offered to customers, suppliers and associates. In both commercial and social life it is vital to have a genuine interest in people and this is at the heart of recognising the importance of the customer, both external and internal. We also believe that the contributions of the individual members of the team are indispensable to delivering a successful outcome for the customer. 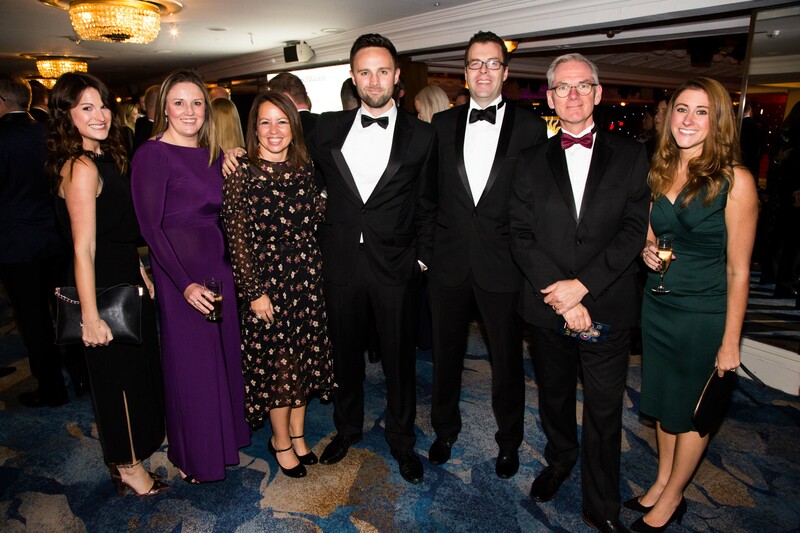 The PrintWeek Awards offer an outstanding opportunity to celebrate the essential part that service plays in improving and enhancing the customer experience. drupa is honoured to be the official sponsor for the Customer Service Team of the Year category. Excellence is suitably acknowledged and we thank the contenders and the nominees for participating and congratulate the winner of the drupa Customer Service Team of the Year Award. EFI is a global printing technology company with the mission to inspire the world with spectacular imagery on any material. Leading the transformation from analogue to digital imaging, we are passionate about fueling customer success with products that increase competitiveness and boost productivity. To do that, we develop breakthrough technologies for the manufacturing of signage, packaging, textiles, ceramic tiles, and personalised documents, with a wide range of printers, inks, digital front ends, and a comprehensive business and production workflow suite that transforms and streamlines the entire production process. Heidelberg supplies equipment, workflows, consumables and support services and it has in recent years collated data that enables it to advise printers on how to achieve Overall Equipment Efficiency, to maximise output. This goes beyond the technology itself (though that is vital) to working practices and that highlights the importance of process discipline but also people power for top production and business performance. Well-trained staff with a can-do attitude and an understanding of good working practices are good for efficiency, for reputation and for profitability. Intelligent Finishing Systems (IFS) is one of the leading suppliers of finishing equipment in the United Kingdom and Ireland. IFS have established a broad portfolio of finishing solutions. These systems are widely recognised as among the finest in their sectors and include highly automated, easy to operate, market leading choices from key manufacturers Horizon, Foliant, Durselen, Petratto, Perfecta, SCS, and Technau. Collectively they deliver business winning solutions in many of the key finishing disciplines – including folding, perfect binding and saddlestitching. IFS is the definitive point of reference for quick-response professional finishing solutions for every print need from digital on demand runs-of-one to high volume litho work. Premier Paper is the UK’s leading independent paper merchant and, through its nationwide branch network, offers an extensive choice of products and top brands from many of the world’s leading paper manufacturers. Premier’s range also includes the widest choice of media for digital production presses. Within its business divisions the teams are equipped with specialist knowledge and extensive experience and are ready to offer guidance and advice to ensure that customers are able get the best from the products that Premier offer. How to gain sponsorship with us? The PrintWeek Awards are the industry’s premier award scheme. The awards are completely independent, and are judged by professional buyers of print and leading, independent experts in the fields of finance, the environment and customer service. This is exactly why they are so coveted by printers and respected by buyers; in short winning a PrintWeek Award means something and by sponsoring an award category you are aligning your business with not only the best of the best, but also signalling the fact that your business understands and supports printers who go the extra mile. 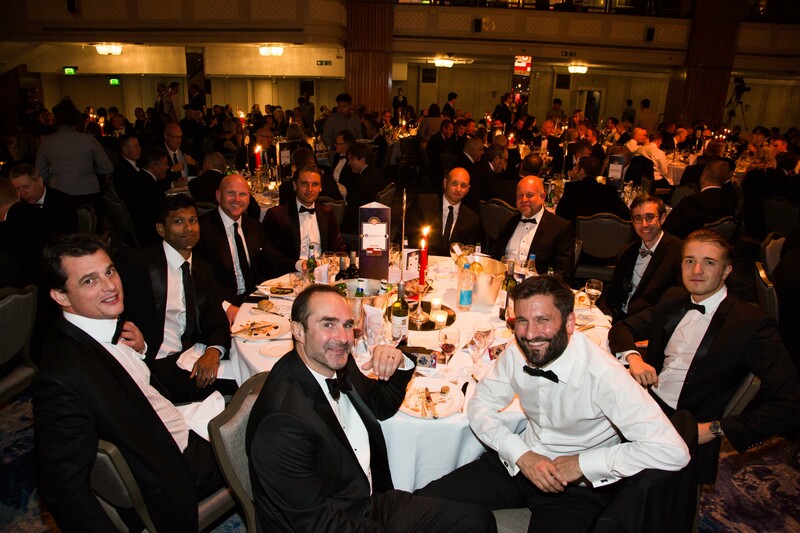 By becoming a sponsor you’re guaranteed months of exposure, leading up to the industry’s night of nights when you and your guests are guaranteed a prime table in the Great Room at London’s Grosvenor House hotel. As well as conventional category sponsorships, there is also a whole host of other bespoke opportunities. We relish the challenge of coming up with innovative partnership opportunities that not only give your brand peerless exposure but also help make the PrintWeek Awards night ‘the’ event in the print industry’s calendar. Please see answers to some frequently asked questions below. If your question is not answered here, please get in touch with the awards team on 0203 915 9454, who will be happy to help. 2015 was the first time we entered the PrintWeek Awards and we were really chuffed to win two categories. Whilst giving us the feel good factor, winning has also resulted in a lot of new business enquiries. The print industry still has a lot to offer and we should all do our bit to promote this amazingly diverse industry and celebrate what we do. The PrintWeek Awards is a great place to start. 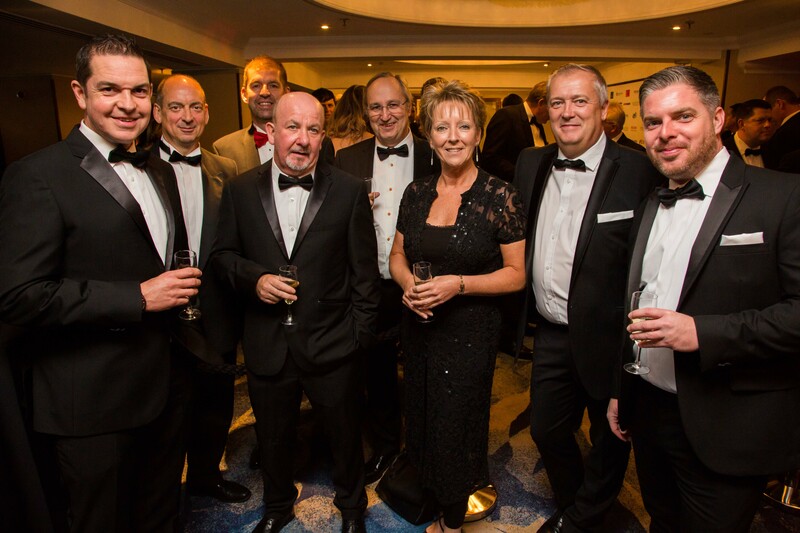 The awards are a great way of publicising and providing independent endorsement of the exceptional standards our team have achieved in service, quality and environmental management. A nomination or win gives recognition and a thank you to our team for the skill, hard work and commitment which has been fundamental in enabling us to reaching these standards. Winning two 2015 PrintWeek Awards and receiving a further commendation has been great for both internal morale and external business at DST; re-assuring existing clients they are with the right partner, whilst helping re-enforce our credentials and generate discussions in any new business pitches. We enter the PrintWeek Awards to challenge ourselves, and let our clients know what we can do. Augustus Martin has size, great logistics, great equipment and systems that allow our customers to react quickly when required; but we see these awards as an opportunity for our staff to show their passion and expertise. It’s great to see them recognised for their dedication and ability by experts in our industry. 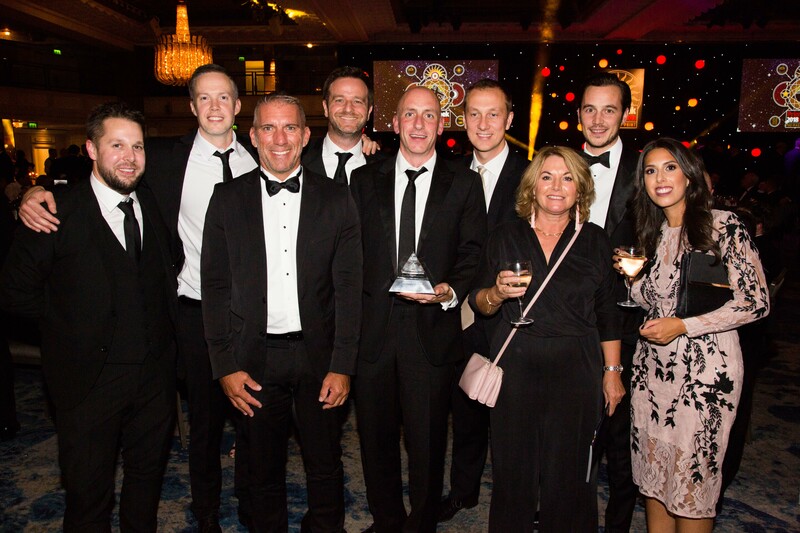 Winning one of Printweek’s prestigious awards has a positive impact both on employees and clients alike. For the team at Screaming Colour it is recognition for the creativity, hard work and determination that everyone puts in throughout the whole year. For clients and potentials clients it helps differentiate Screaming Colour as a company who consistently produce work that is of a quality and specification well beyond the norm. Being the winner of Industrial Digital Printer of the Year at last year’s PrintWeek Awards has propelled our profile throughout the industry. With the technology being groundbreaking and new we could not have had a better launchpad for getting it out there than this award. It has certainly changed a number of our clients minds on what is now possible to achieve in print from the data they hold. We have found that winning a PrintWeek award has been a door opener and one that we can be proud of. If you want to win an award then it is PrintWeek award that you want to win because so many businesses enter them. Being able to show perspective new clients that you have won awards gives another reason for that business to start to trust you and give you that first chance. And it is just a great evening as well!